Nook Cottage: All moved in! It’s been a whirlwind few days as you can imagine – moving out and moving in. I really don’t like the moving process. Packing things then unpacking them a few days later isn’t like opening presents. 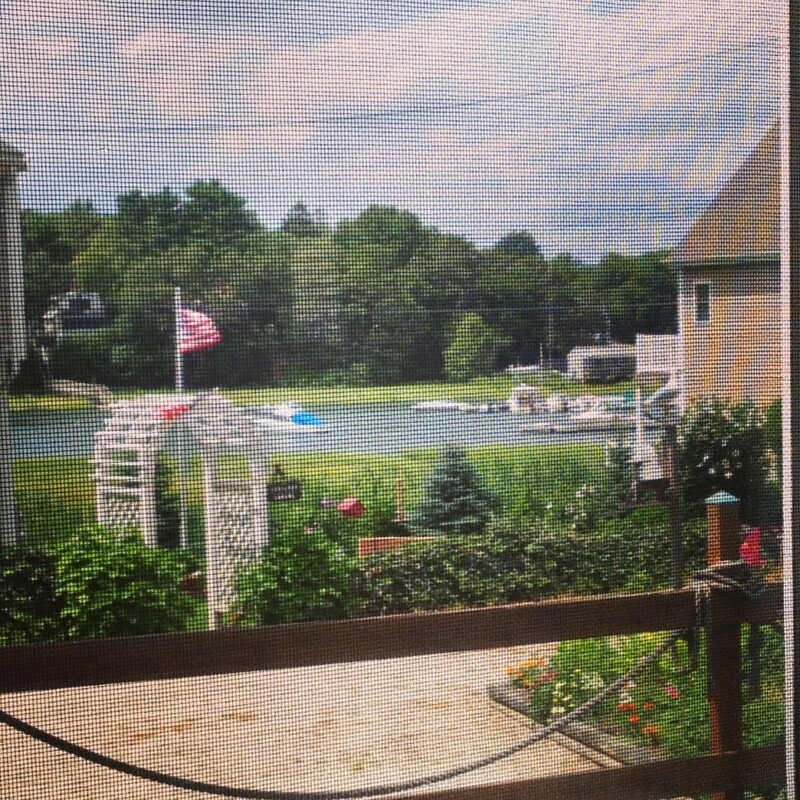 But still, I had the help of the wonderful White Glove Moving & Storage in Bourne, MA who were charming and strong! And polite, even when I told them near the end of the truck loading that I was taking the two large (and heavy!) oriental rugs. They earned their money that day. The outside of my new little cottage needs some work. Its a rental so I’m not going to be doing anything major. But it needs some cuteness and I’ll show that soon. 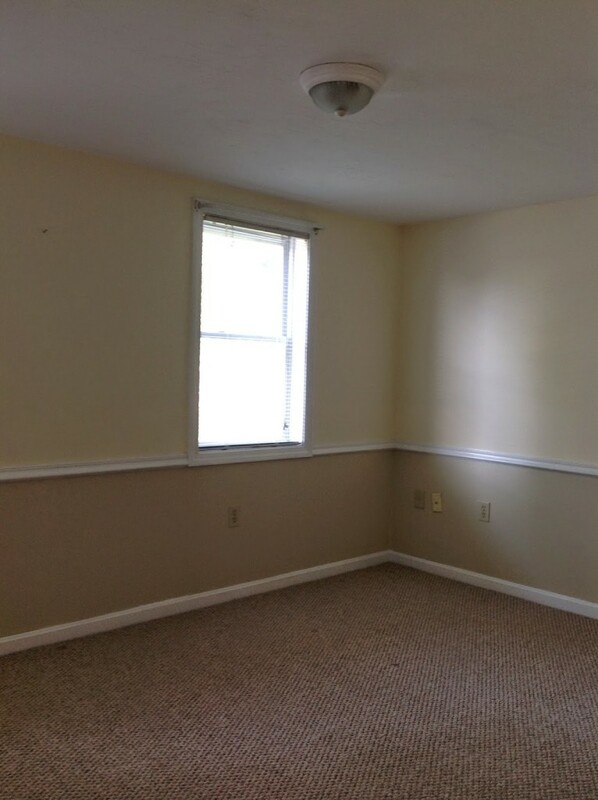 Meanwhile, here’s the view out one side of my house – which includes the dining area and my home office. 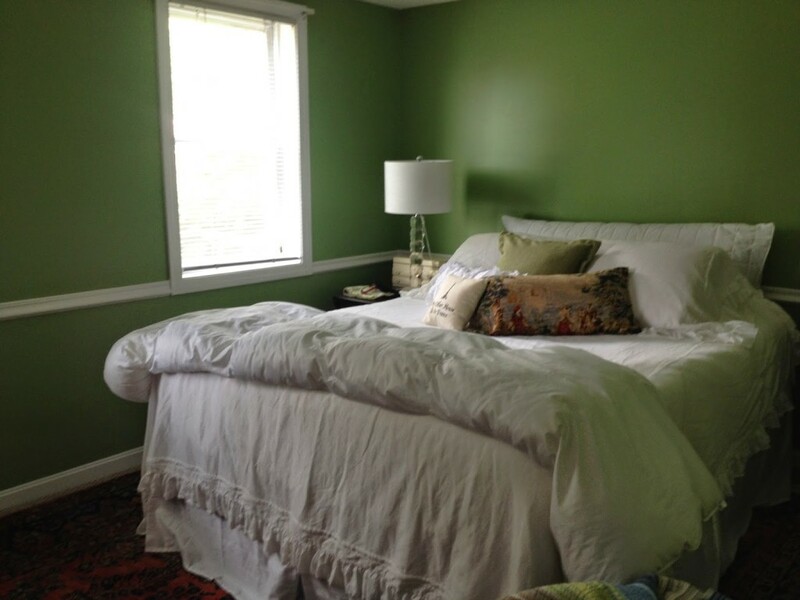 I had previously written about my bedroom plans and was debating which green to paint the walls. 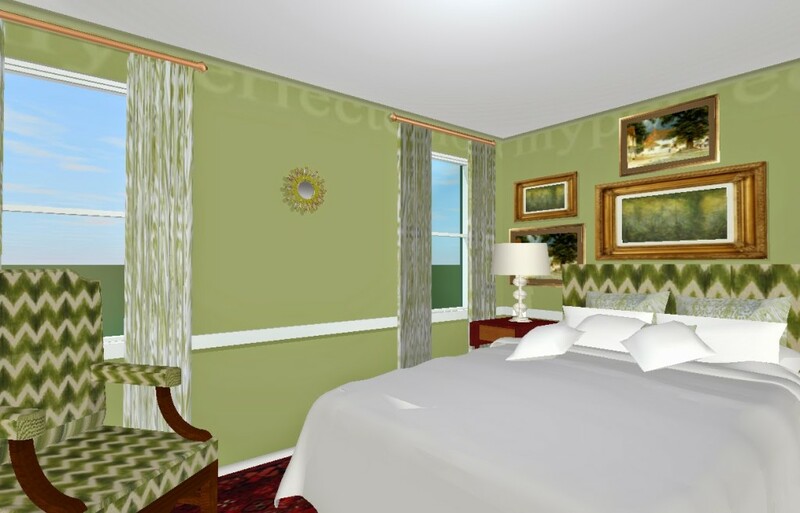 This is my rendering of the walls in Ben Moore’s Grenada Green. It’s darker than I expected, but I’m loving it! My grandmother’s oriental carpet just fit in the room. I had to take the closet doors off because they wouldn’t open over the rug, but that’s ok. Meanwhile, I still have the velvet headboard and chair to come. 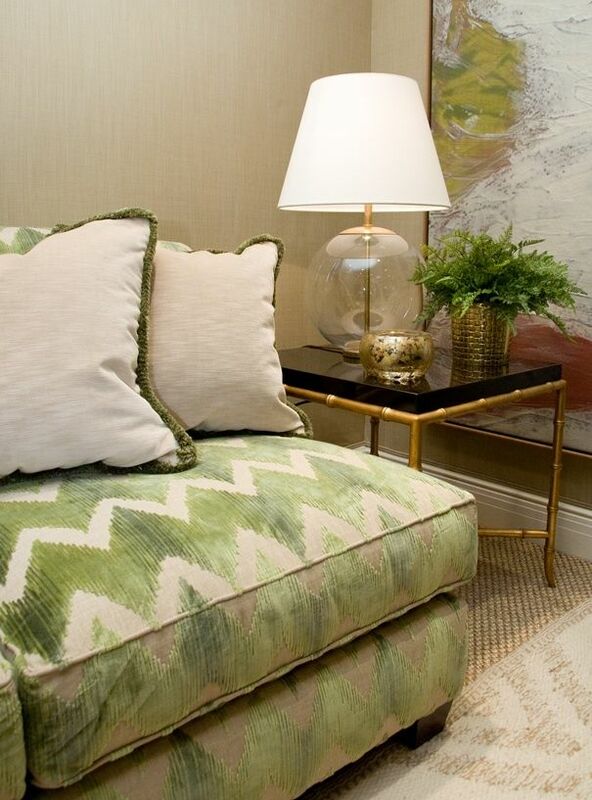 Watersedge by Aerin for Lee Jofa will be recovering an arm chair and a headboard. 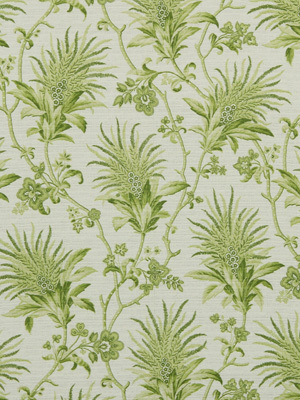 And for the windows, this Drayton Park in Pear from Robert Allen. More sneak peeks to come soon! Meanwhile, my latest post on Williams-Sonoma Designer Marketplace has gone live: So You Want a Job in Interior Design?